We are a Tustin, CA dental practice devoted to restoring and enhancing the natural beauty of your smile using conservative, state-of-the-art procedures that will result in beautiful, long lasting smiles! We strive to provide “dental health care” vs. “disease care”; that’s why we focus on thorough exams – checking the overall health of your teeth and gums, performing oral cancer exams, and taking X-rays when necessary. We also know that routine cleanings, flossing, sealants, and fluoride are all helpful in preventing dental disease. To protect our patients and ourselves, we strictly maintain sterilization and cross contamination processes recommended by the American Dental Association (ADA), the Occupational Safety and Health Administration (OSHA), and the Center for Disease Control (CDC). We understand how uneasy some patients can feel about their dental visits, and we know that we can make a difference by providing a relaxing and positive experience. Our entire team is dedicated to providing you with excellent, personalized care and service to make your visits as comfortable and pleasant as possible. 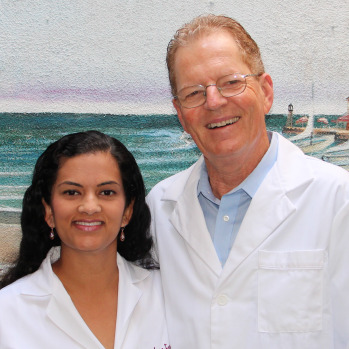 Tustin Dentist, Dr. Mumolo & Dr. Fortes are dental professionals dedicated to General, Family & Cosmetic Dentistry such as Dental Exams, Cleanings, X-rays, Fluoride, Dental Makeovers, Teeth Whitening, Veneers, Crowns, & more. Please come and visit Tustin, CA dentist First Street Dental.